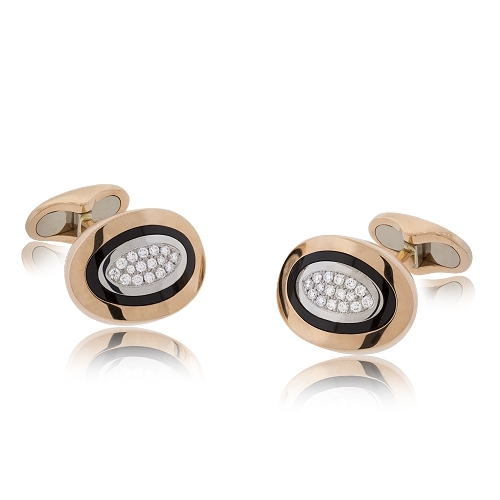 Oval cufflinks set with diamonds and black onyx mounted in 18kt rose gold. Diamonds approx. .28ct.